Mark Lamoureux lives in New Haven, CT. He is the author of four full-length collections of poetry: It'll Never Be Over For Me (Black Radish Books, 2016), Spectre (Black Radish Books 2010), Astrometry Orgonon (BlazeVOX Books 2008), and 29 Cheeseburgers / 39 Years (Pressed Wafer, 2013). 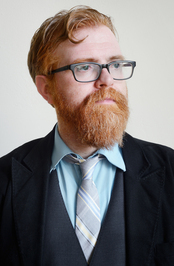 His work has been published in print and online in Fence, miPoesias, Jubilat, Denver Quarterly, Conduit, Jacket, Fourteen Hills and many others. To ask Mark Lamoureux questions, please sign up. of paper & soft tissue. The poetics of annihilation; the world as it should be instead of as it is, as poetry is meant to be. We’d love your help. Let us know what’s wrong with this preview of Sophisticated Giant by Maxine Gordon. "First of all, I almost never leave low-star reviews, why bother, I figure, but occasionally I do when I think there's something damaging about a book. We’d love your help. Let us know what’s wrong with this preview of The Mysteries of Udolpho by Ann Radcliffe. I'll admit it had me turning pages, but honestly the most horrifying thing about this book was Straub's misogyny. We’d love your help. Let us know what’s wrong with this preview of Ghost Story by Peter Straub. SCP is an e-chap series edited by Andrew Lundwall. . .
anything u want to talk about... inside jokes, books, skool, friends, or just random stuff... ANYTHING and EVERYTHING! I’m touched by your comment about “Arc of the Dream,” Mark – and impressed by your perseverance in finding that title with so few mnemonic clues. Blood seems to be a motif in my fiction: “The Blood’s Horizon” came to mind from "Radix" before I remembered “Mirror in the Blood.” I certainly feel connected with the human community and liberated from a writer’s isolation by your friendly anecdote. And how uplifting for me to know my story inspired your poem. I’m glad the creative fire has passed between us! Hey Mark, thanks for the add! HAPPY HOLIDAYS! as you're my friend and you're online right now, I'll say "Hello from Oxford". I never responded to your message a few months back. I too haven't gotten drunk enough for a mjor injury but there have been countless minor ones....let me know when you are back in Boston..we'll raise a glass and then drain it.